Or maybe cordless screw driver? Two options. 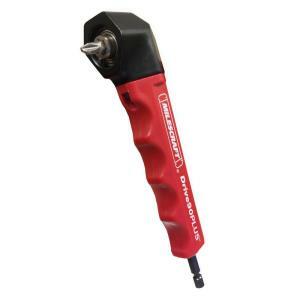 I use one of these: a right-angle drill adapter in a regularly cordless drill. Works great. 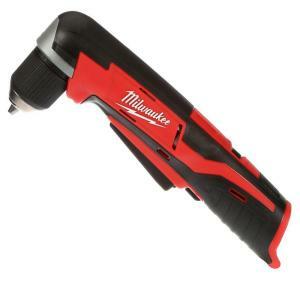 Use this durable Milescraft Drive Plus for access to those hard to reach and tight spaces. Ergonomic design makes it even easier to use. Milwaukee's Lithium-Ion Cordless Right Angle Drill is compact and lightweight for prolonged use. Features extended paddle switch for user convenience. This one ... very inexpensive and extremely versatile for working on the drums. Folds short or long ... has a neat magnetic piece on top to hold the alternate bit ... a light for us old blind guys ... and several other swifty nifty neato features. It holds a charge quite well. Thanks gentlemen. I will check them all out. I adore my Bosch. It has the trigger activated LED light, the quick chuck and adjustable tork band and small enough to work inside a 10" tom with no problem! I see you all have the cordless screwdrivers with star bits for use in screws like the ones inside the toms. How about a bit for use on the tension rods for quick tear down or reassembly when changing heads? Is there a bit that you can adapt for this purpose and what would be it's size (I should know this)? A four-pointed (X) bit is a "Philips" bit. There IS a different bit design that colloquially gets called a "star" bit (certain styles popularized by the Torx company), but it's completely different from Philips. Loads of companies sell drum key drill bits. Useful, but proceed with caution. I put my drill into a low resistance clutch setting (so if something binds, I don't accidentally strip the insert/rod/damage a lug). Nooooo! Friends don't let friends drill holes! Easy and inexpensive way to make a tension rod bit for your drill....cut off the top portion of a drum key. These are for screws ... not holes ... ... ... well, mine is anyway. Gibraltar makes a proper drill bit for tension rods. When I had right wrist surgery, I could not do fine movements like using a drum key. I got this drill bit and I love it. I also switched to the "S" shaped speed key that have a spindle handle as it's easier for me. As for how to make a drill bit, just cut the two side handles off a drum key as noted above. I have a Dremel for this type of stuff and it is awesome. I used a vice grip & plies to tear off the handles, then cleaned it up with the Dremel. The "bit" is about 1/4" but fits fine in the drill and it works with no issues. I never drill all the way to tight. I always leave it so I fine tune by hand. I took the 'buy a bit' route instead of making one. For a $6 item it's not worth the extra work. I saw the Gibraltar and it looks fine but I opted for the Evans. Other companies make them as well and are all about the same price. I'm sure they are pretty much all the same. Some look so identical that they are probably made in the same factory and branded differently. Thank you "Steambent" for this thread! It got me to go buy something that will make life easier and it's something that's relatively cheap. I never have used an electric screwdriver and just bought one (and the drill bit). I ended up buying this Craftsman electric screwdriver from Sears and will pick it up tomorrow. I also bought the Evans drill bit from Musicians Friend. It seemed pretty refined and it's got a nice replacement warranty. I had rewards points both at Sears & Musicians Friend. I spent a grand total of $2.83 for both the screwdriver and drill bit. Can't go wrong with that! $16 and it's 5.25 inches so it's seems like the perfect size for small toms (and the rest of the kit). I don't think durability will be an issue since it wont be used constantly. 1) Evans Drill Bit Drum Key - A godsend for removing only tension rods and lug screws. But for screwing in, I do it manually to avoid stripping threads. Other companies have the same thing. 3) Bosch GSB 180-LI (I don't know the equivalent USA model number) - Heavier, bigger, has more torque and speed, and has a clutch. It just fits into a 10" drum, but nothing smaller. I just got it yesterday, so haven't tried it on drums yet. But I doubt it will have trouble with sticky tension rods. 4) Various drum keys - for tightening and tuning.